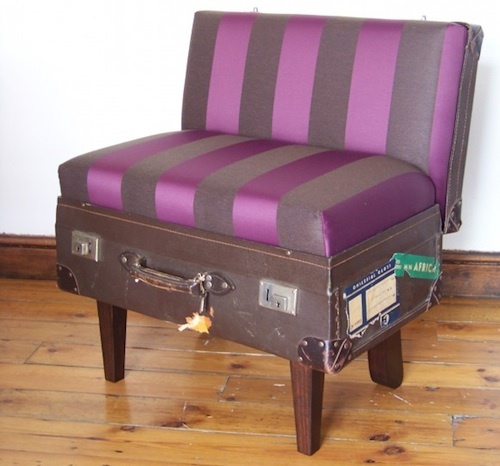 This vintage piece of Samsonite luggage turned into a chair has been getting quite a lot of attention on Pinterest. South African Katie Thompson recycles vintage items and repurposes them into new pieces. Makes me smile so YES! Very Creative, I love them!!!! 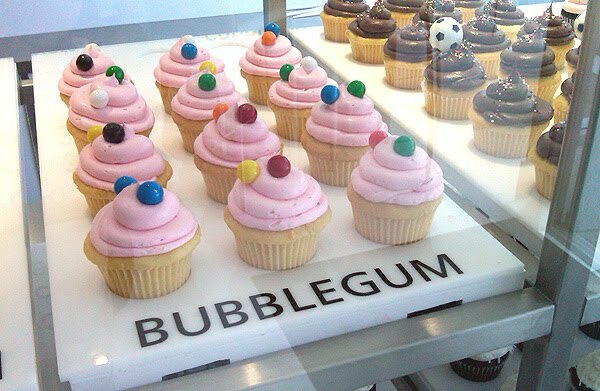 Love it :) So cute! I like them. They are cute in a funky way. I always appreciate repurposed items. 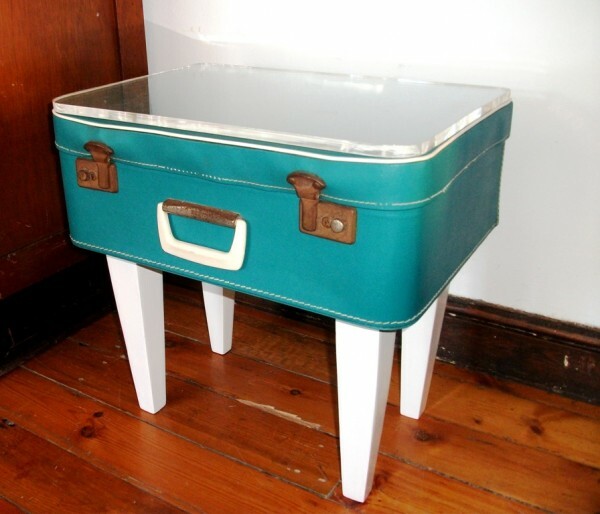 Hmmm...I am suddenly imagining using the bottom half of a round vintage suitcase and adding a tufted pink satin top with lucite legs...I would take one of those! so cute, I love them! I totally love them. A very cute conversation piece. Definitely, definitely love, especially the purple (though I love the Tiffany Blue too!). This is a fabulous blog, not sure how I've missed you! So happy to find you and happy to be your newest follower! those are fantastic- what a great idea! love the brown suitcase chair best! Very cool! Reminds me of something I'd see at Anthropologie.